The ghosts of my friendships past still haunt me to varying degrees. The losses all hurt in some way or another, but the most hurtful time I've lost friends was after I became a mother. Like most people, I've lost my share of friends. Every move was a source of culling, intentional or not. Each time I changed schools, I left friends behind. I've lost friends when we drifted away from each other, when our interests diverged, and after unrecoverable fights. The ghosts of my friendships past still haunt me to varying degrees. The losses all hurt in some way or another, but the most hurtful time I've lost friends was after I became a mother. Losing them was painful. Depressing. Gut-wrenching. Four years later, I'm still mourning the loss, not only of my friends, but also of what those friendships represented. When we're young, many of our friends are chosen for us. Whether they're school assignments, activities, or playdates, forces beyond our control dictate which people we are surrounded by. But, as we age, we begin learn that friends are more than just people we're obligated to be around. By the time we're adults, we're able to choose our friends, for the most part. They're people who often share our beliefs and interests. Who make us laugh. Who care for us, have fun with us and make us better people. And, most tellingly, our friends reflect where we are in life. When I went to art school, I made friends with creative, uninhibited artists. 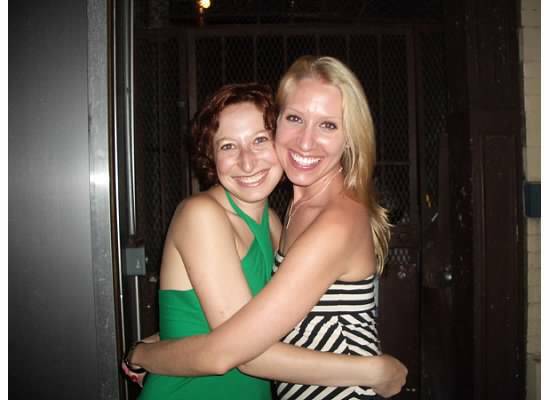 In my early, carefree 20s, my friends were partiers -- we hit up bars and clubs at night; brunch was never before noon. A few years later, though, I was looking for something more substantial. I wanted to have more meaningful friendships with people I could confide in, rather than just yelling in their ear at 2 a.m., straining to be heard over the music. I began to value and cultivate friendships with women who were just as much fun on the dance floor as they were chatting over cupcakes or flea market shopping. And I was pleased when we formed a group of all-around, all-day friends. Real friends. Leaving my partying and single life behind, I got married and pregnant soon after. Everyone was happy for me and we, of course, intended to stay friends after my son's birth. I wasn't sure what motherhood would bring, but I knew what kind of mother I didn't want to be. I didn't want to lose myself to motherhood. I didn't want my son to consume both my life and my identity. After all, I was a modern, feminist, independent woman and there was no reason for a baby to change that. But then I had a baby. A baby who wouldn't sleep. And as I was swallowed by my deepening depression and an overwhelming anxiety disorder, my former life, complete with friends, ideas and goals, slipped away from me. My depression meant that I wasn't the best mother I could be. Or the best wife. Or the best friend. It's not that I didn't care about my friends anymore -- I absolutely did -- I just couldn't figure out how to fit them into a new life that revolved around nap schedules, feeding schedules, and oh yeah, crying anywhere and everywhere. Friendships without cultivation wither and die, and that's exactly what mine did. I had less and less in common with friends from my former life. They were in a totally different place in life than I was. They didn't understand what it was like to wake up 10 times in one night or get up at 4 everyday for a year and a half. My only priorities were about my family: making sure I could function on a day-to-day basis, keeping my son alive, trying my hardest to keep my strained marriage together. My friends from my pre-baby life didn't understand why I couldn't meet them for dinner, drinks, or shopping. They didn't know that being without my son made me feel like I couldn't breathe, like a physical part of my body was missing, and that I was only whole when I was with him. Even though when I was with him, I was sure I was doing everything wrong. I worried about everything and anything and felt like nothing would ever get better, nothing would ever change. He would never sleep and I would never feel like myself again. Fortunately, I was able to get help. Therapy, anti-depressants, and my son sleeping into the 5 o'clock hour allowed me to emerge from the deep pit of depression. Also of help? My "mom" friends. I am supremely, unbelievably, fantastically lucky to have made several wonderful "mom" friends over the past few years. They were able to understand my challenges as a new mom and support me through them. I'm able to be a new Jen, Mom Jen, with them as we share stories about our kids, husbands and lives. But they haven't replaced my other friends. I still care about them. I still think about them and miss them immensely. But like I said, it wasn't just losing their friendship that was devastating to me. It was losing what our friendship represented. I had lost myself. I often don't feel like Jen, the friend and person anymore. I am Jen, the Mommy. My pre-baby life is gone. Everything about me and my life has been redefined. Wine glasses? Try sippy cups. Going clothing shopping means buying from sales online for my sons. I'm in bed before I used to go out. And any alone, art, or writing time is at the end of the day, after the kids are asleep and the chores are done (are the chores ever really done?). Four and half years after having my first son (and a year after having my second), I'm in a much, much better place. A good place. And even though I've embraced motherhood, I still think about the kind of person I used to be. The kind of person who wasn't concerned with nose or bottom wiping, eating schedules, or missed naps. Who was fun, adventurous, and spontaneous. I see glimpses of her every so often, but I know she, like her former friendships, no longer really exists. Before "Mom" Jen took over. This piece was written by Jen Simon as a companion piece to her essay in the anthology, My Other Ex: Women's True Stories of Losing and Leaving Friends.